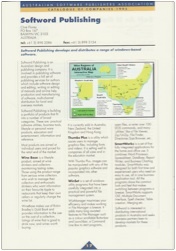 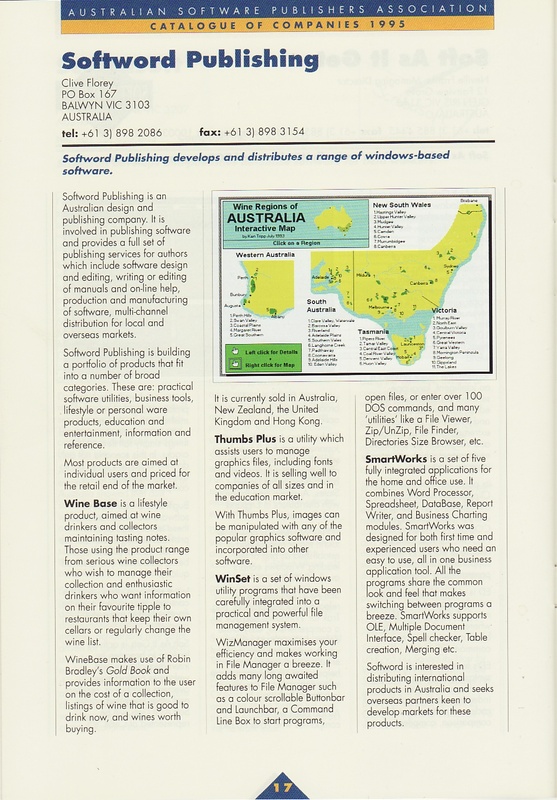 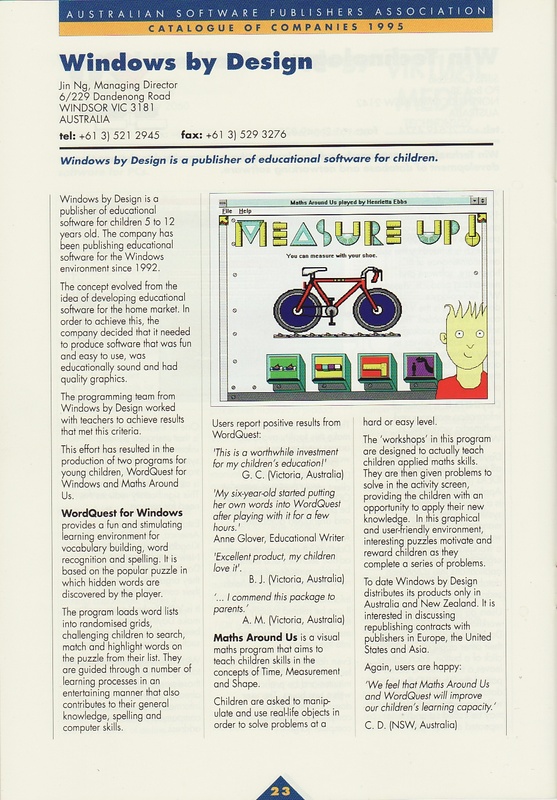 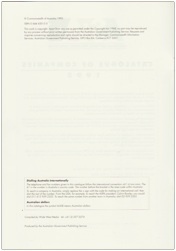 Australian Software Publishing Association Inc. 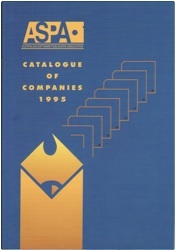 Formed as a non-profit association in 1991, ASPA Inc. ran until 1998. 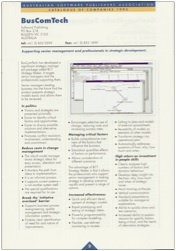 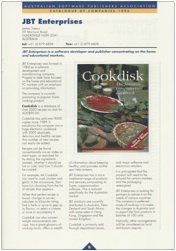 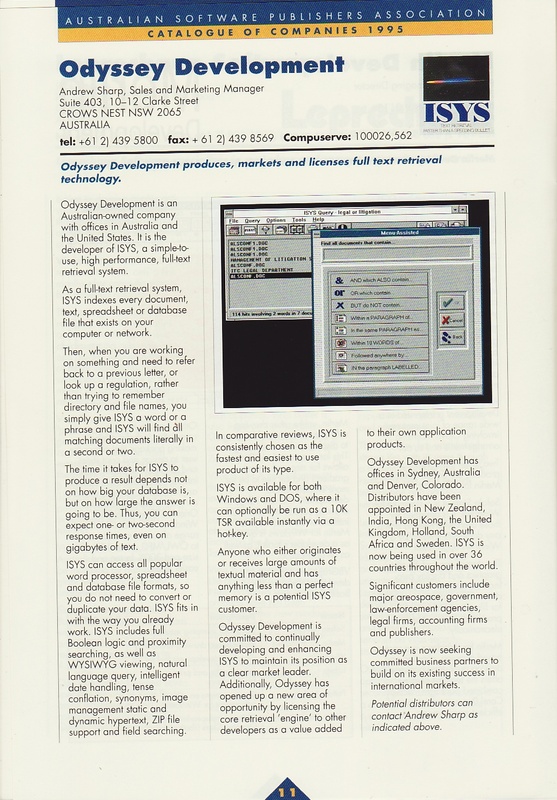 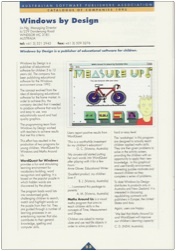 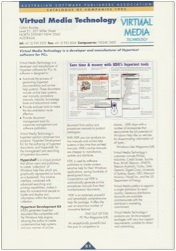 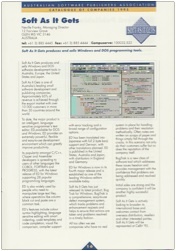 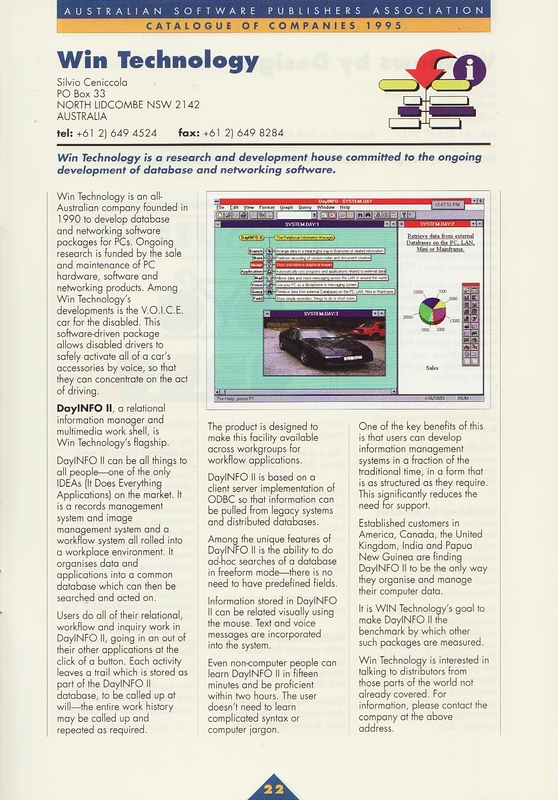 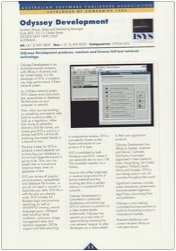 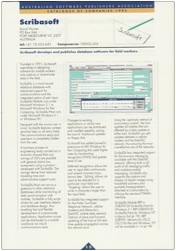 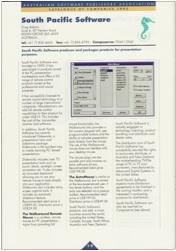 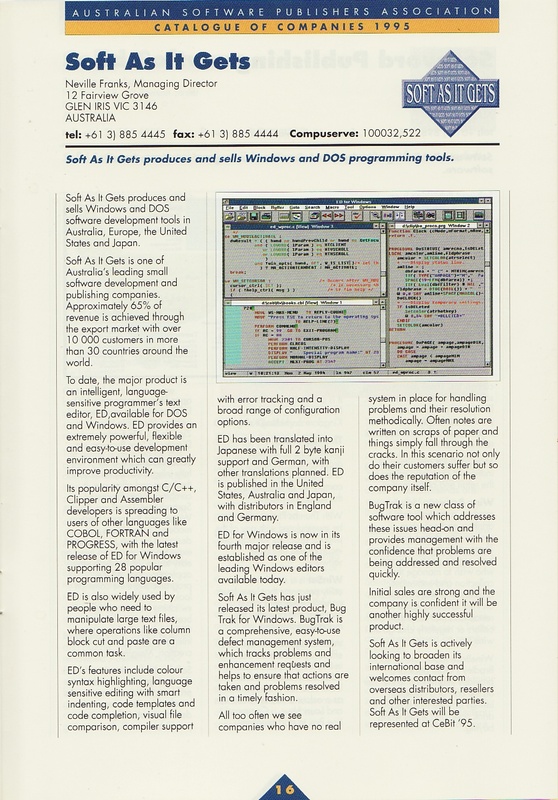 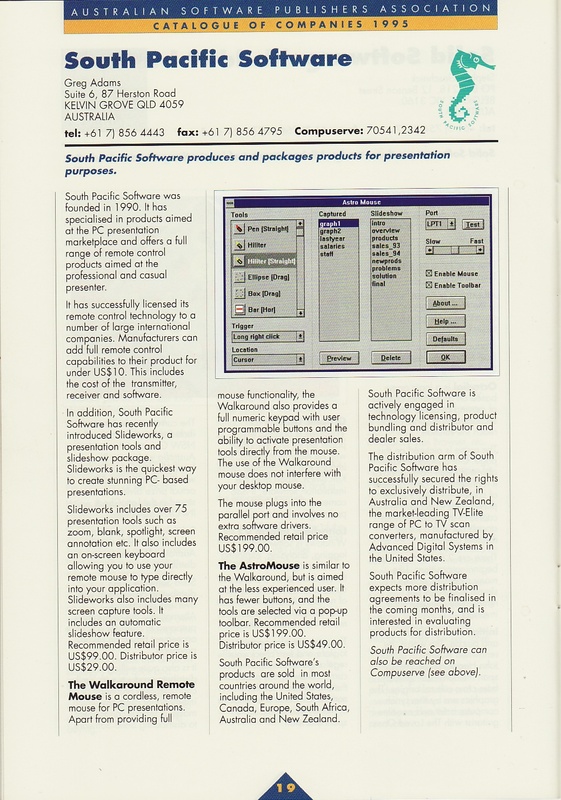 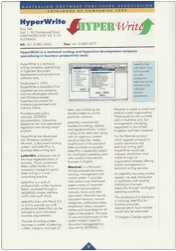 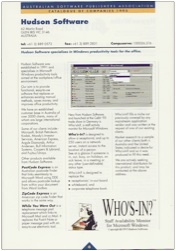 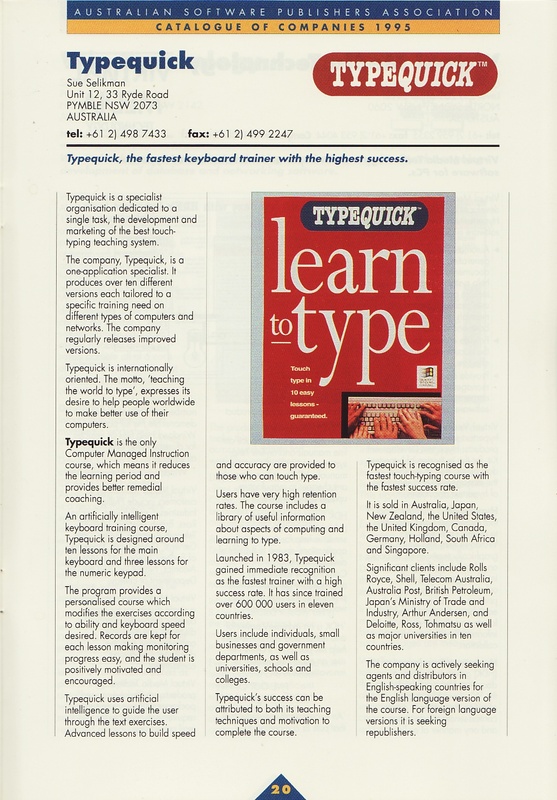 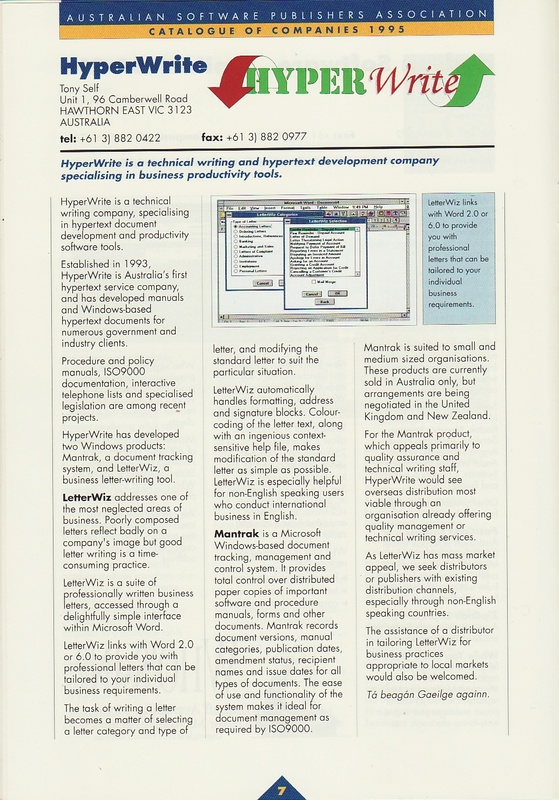 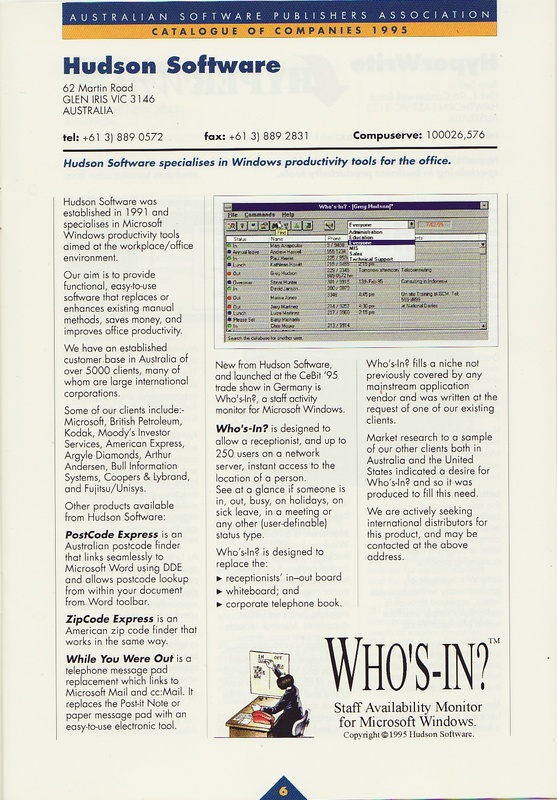 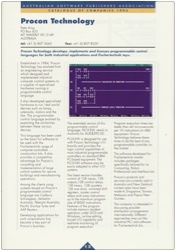 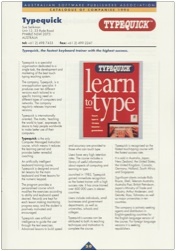 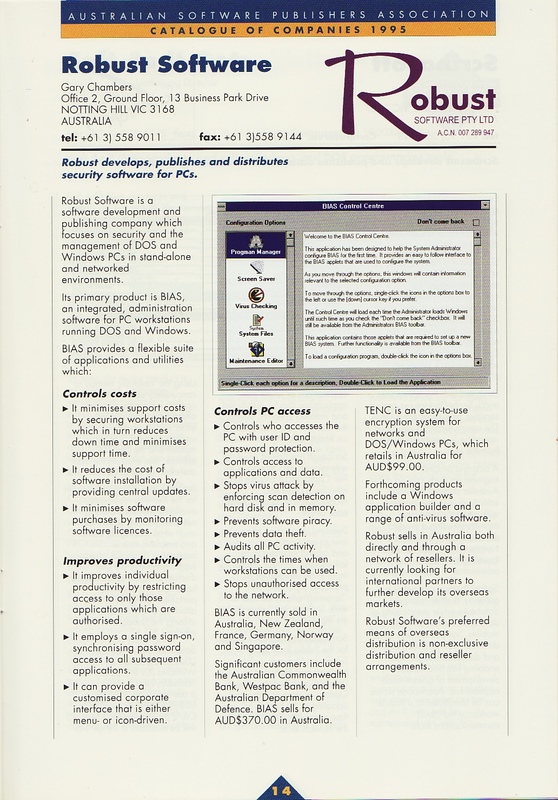 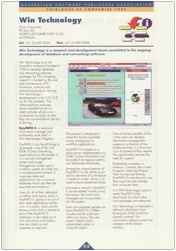 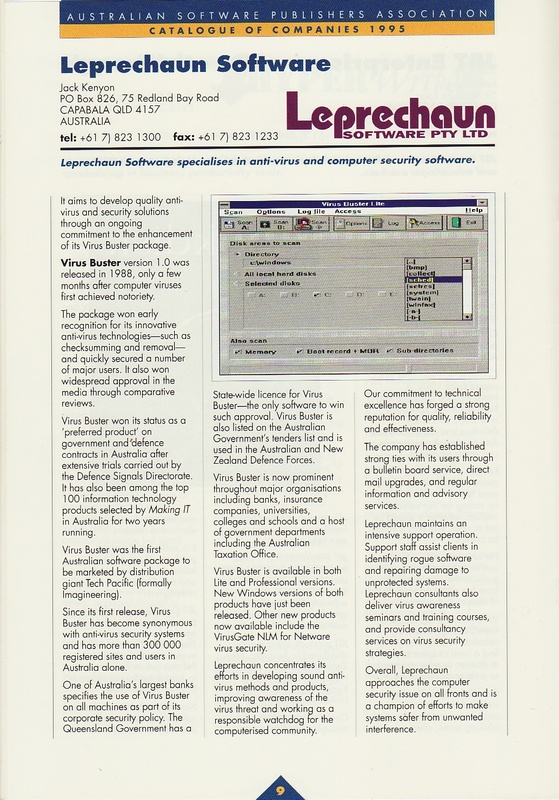 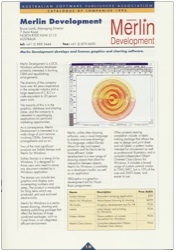 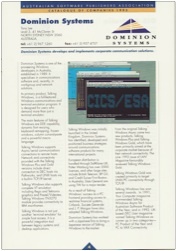 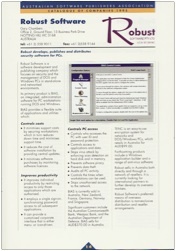 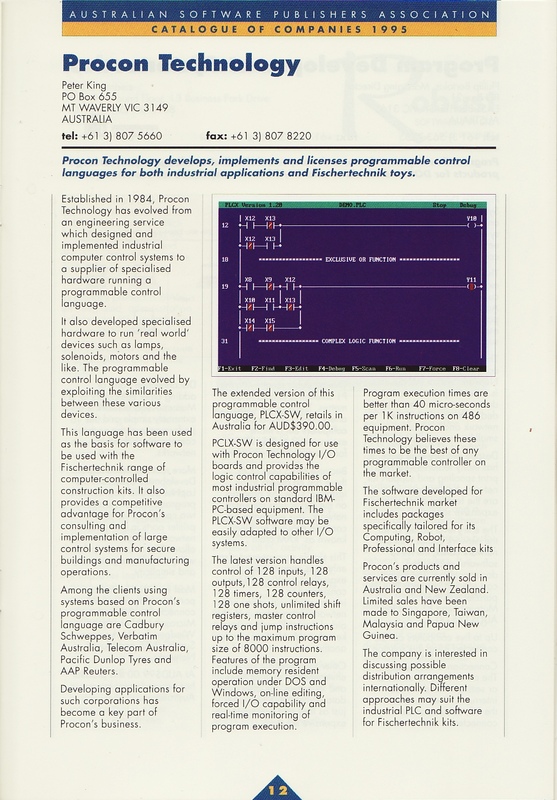 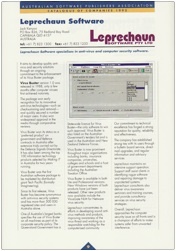 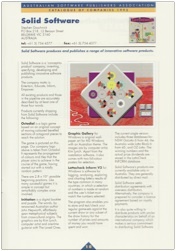 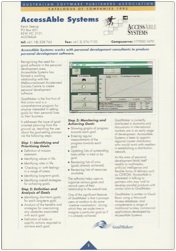 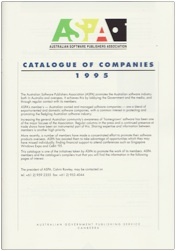 Its members were the publishers of Australian-developed shrink-wrapped/packaged software. 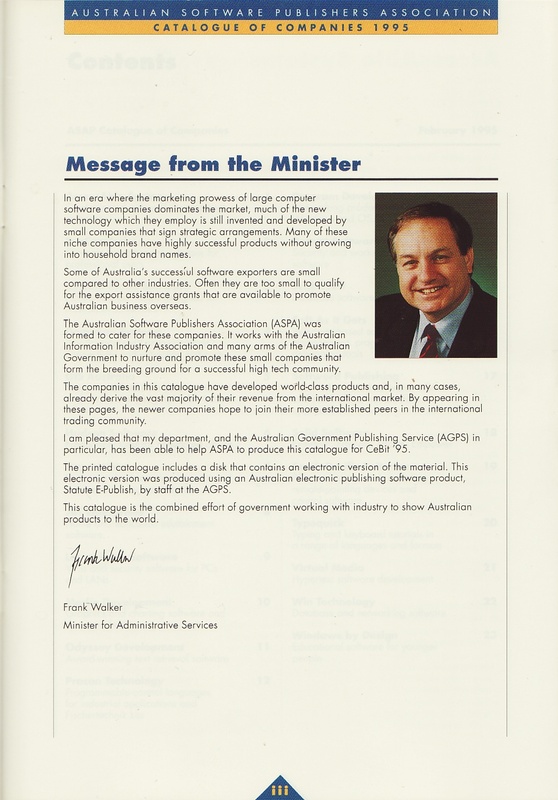 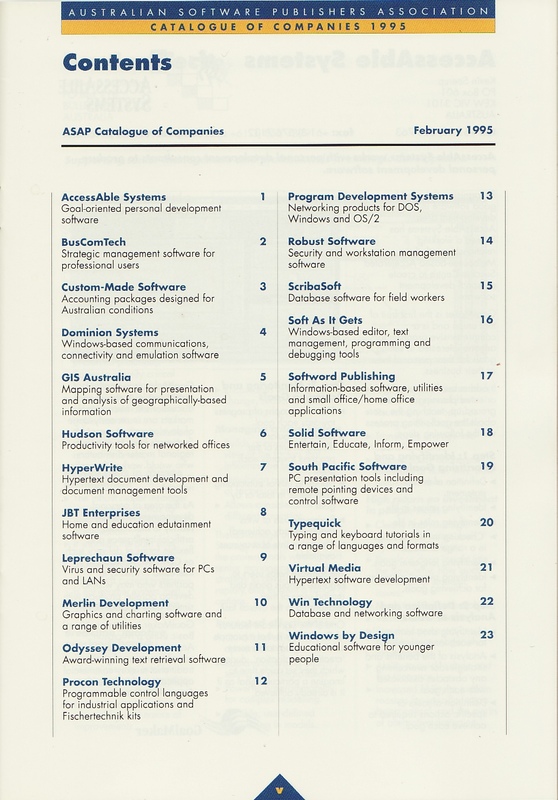 By 1996 ASPA had 33 member companies, which represented around half of the companies in Australia that were then publishing packaged software (excluding video games). 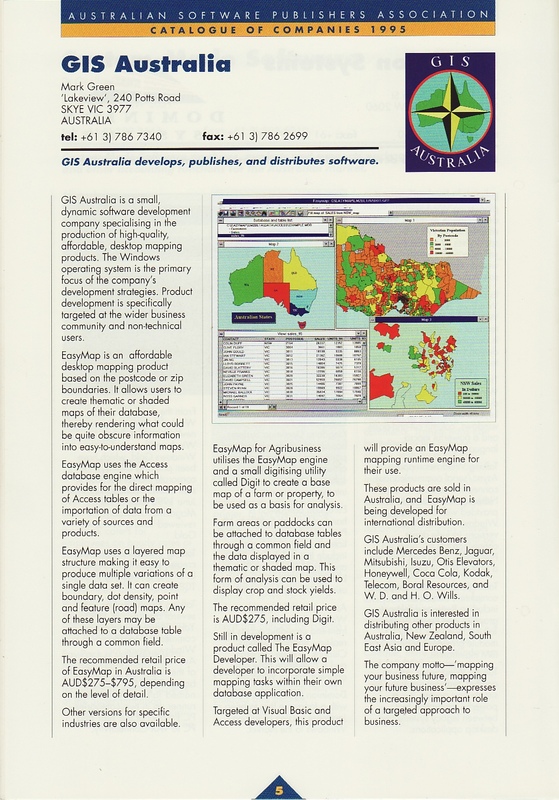 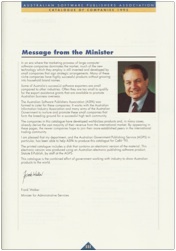 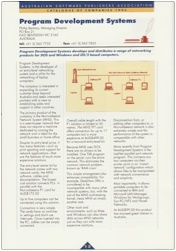 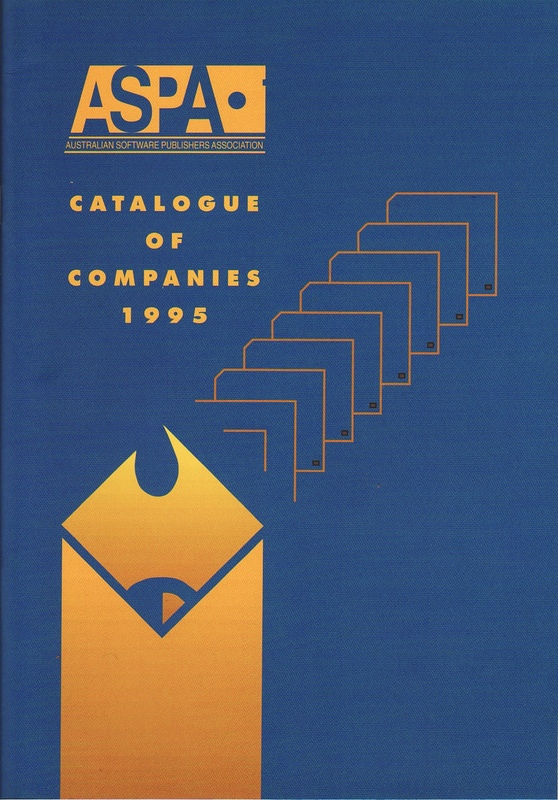 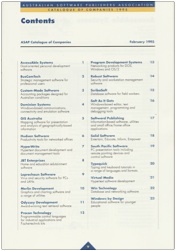 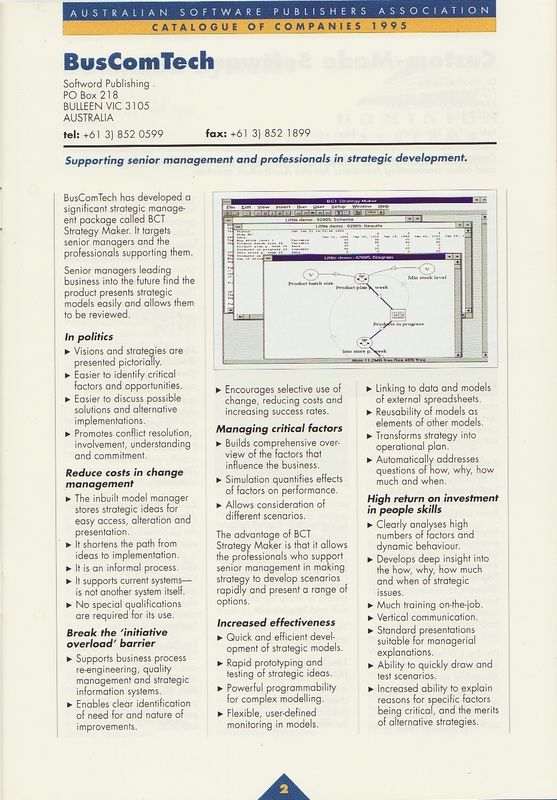 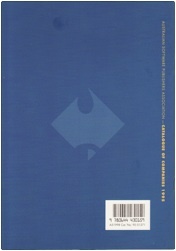 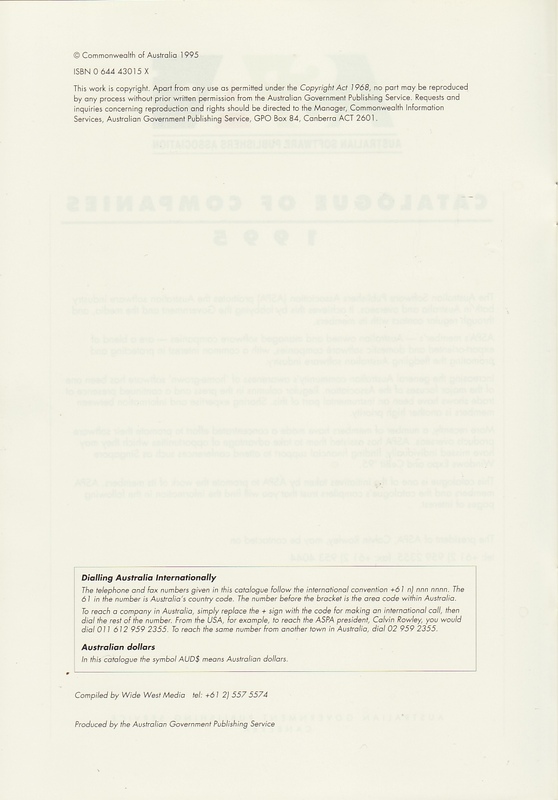 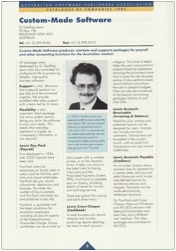 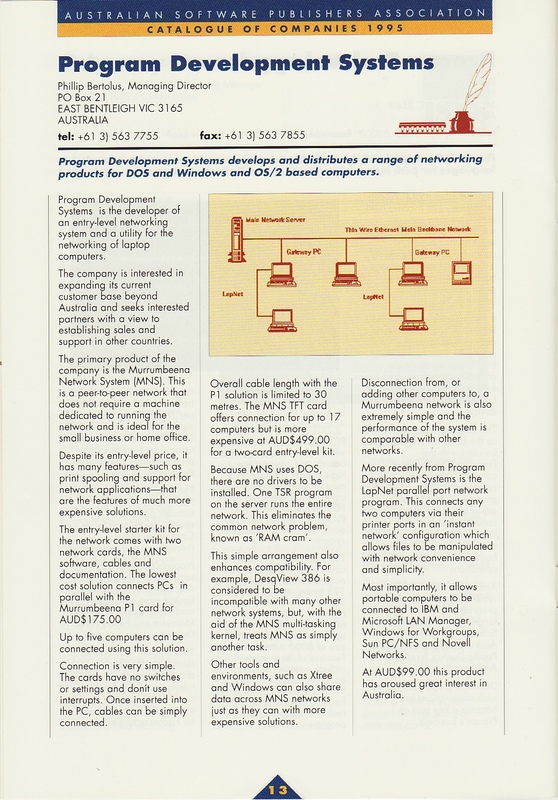 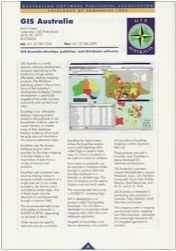 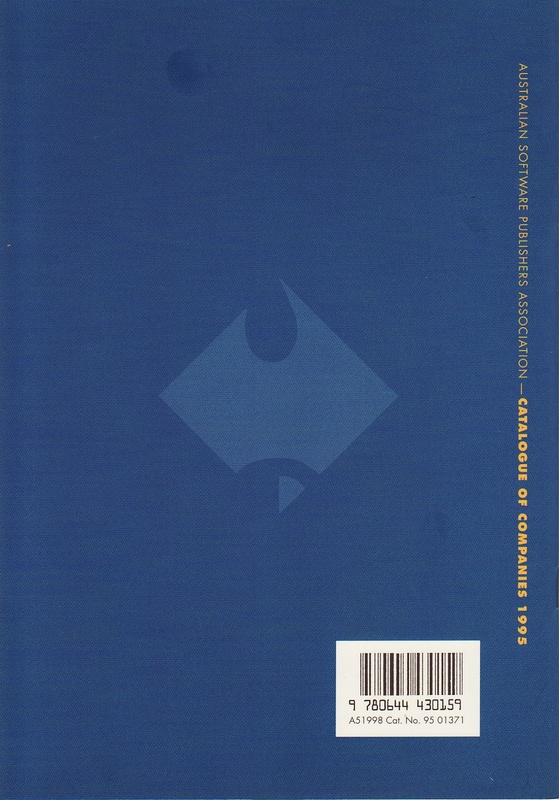 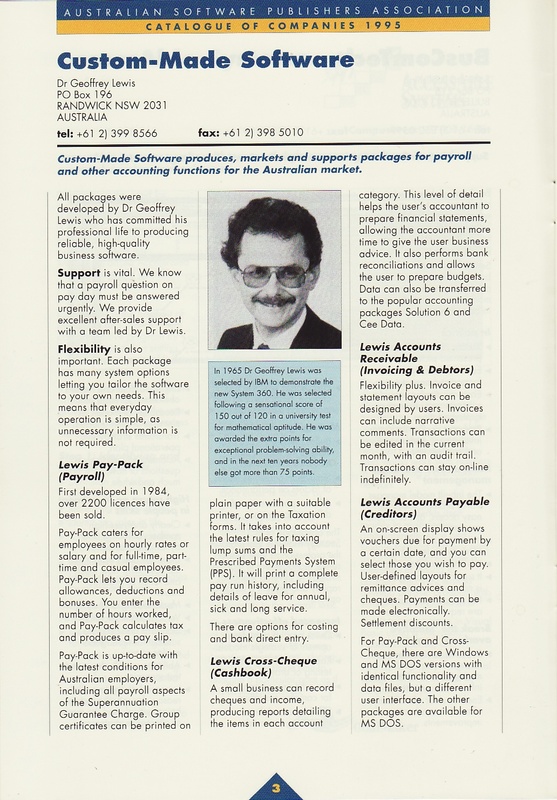 Fig.1: The 1995 Catalogue of ASPA Member companies (Compiled by Geoff Ebbs of Wide West Media Pty Ltd). 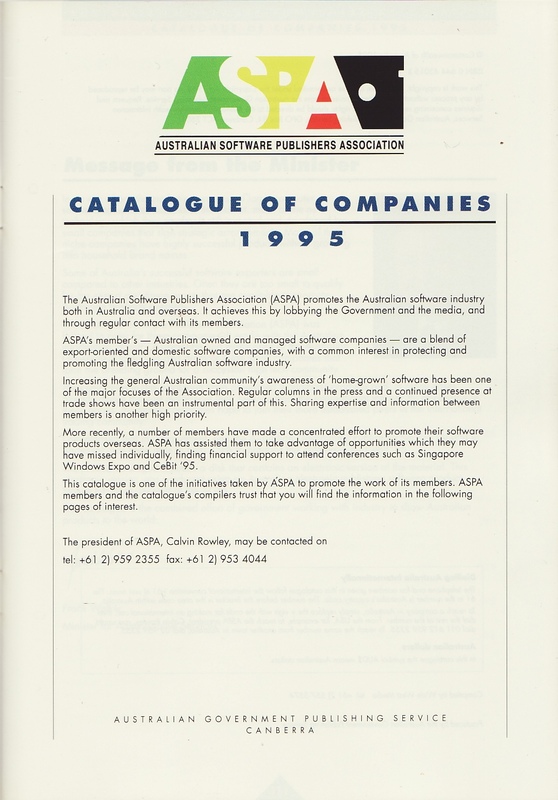 The rise-and-rise of the www by 1997 (and the flood of free software with it) changed the focus of many member companies away from shrink-wrapped software, and the ASPA Inc membership numbers declined significantly by 1998. 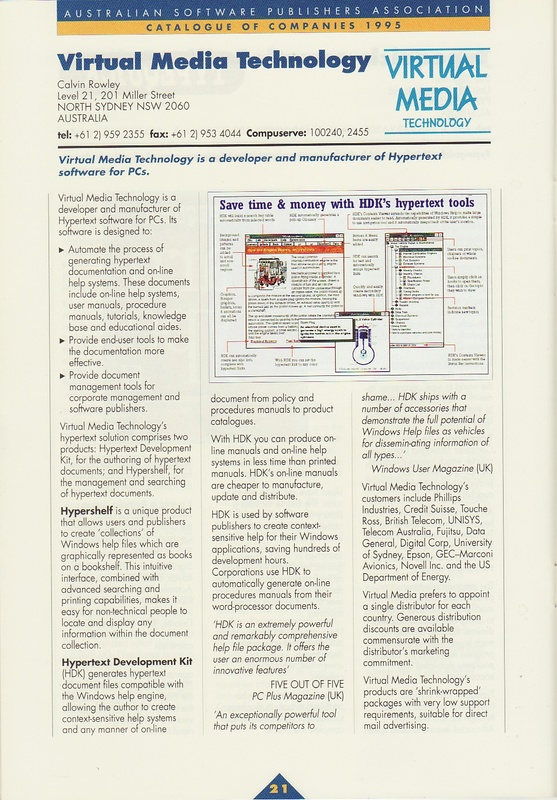 This page last updated: 30th March 2014. 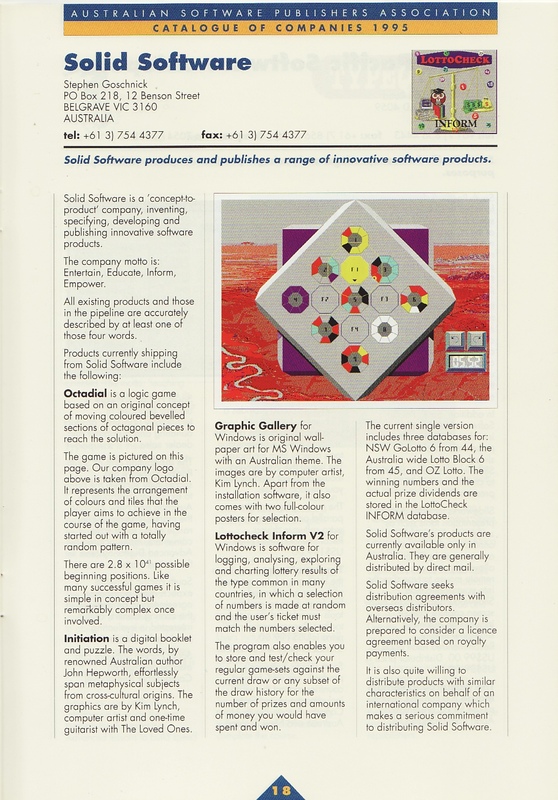 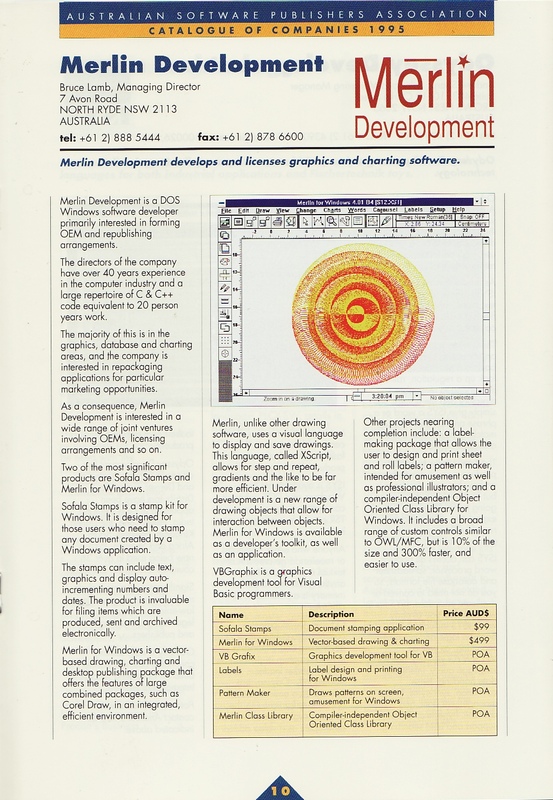 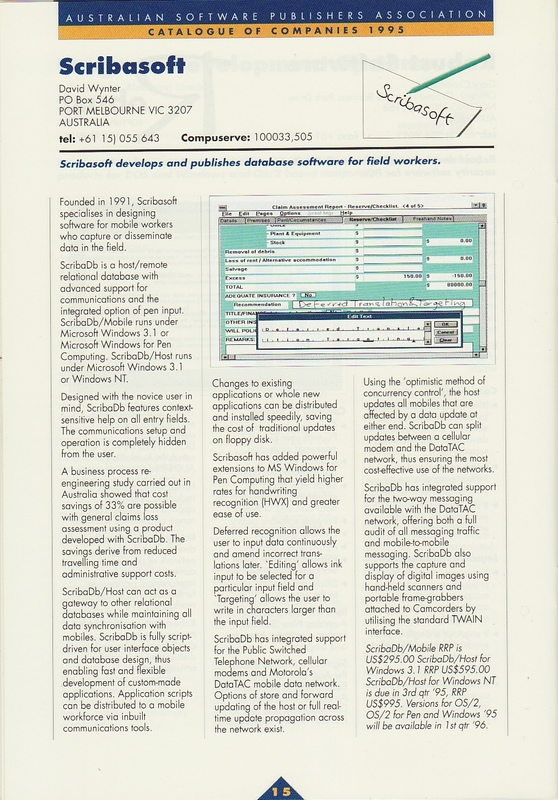 © 1996-2014: Solid Software Pty Ltd. All rights reserved.